The word perfume comes from the Latin phrase, “per” meaning “through” and “fumus” meaning smoke.” The French later gave the name parfum to the pleasant smells that drift through the air from burning incense. There are few periods of history that have not been influenced by perfume. The history of perfume is often intertwined with the history of the human race…. “Ombre Rose” is now considered as a “Classic” of the High Perfumery, and rightfully sits among some of the very best fragrances ever: “No.5” by Chanel, “Samsara” by Guerlain, “Opium” by Yves Saint-Laurent, “Diorissimo” by Dior, “L’Air du Temps” by Nina Ricci, and “Le Dix” by Balenciaga. The story of Jean Charles Brosseau, are you ready to read from his son Benoit Brosseau? Let’s hear from you story of Jean Charles Brosseau! Jean Charles Brosseau of company founder begins his carreer by designing hats. Afterwards, he is designing private jewerlys. After 10 years, he decided to become more global brand. My father gives the distributor to all his justice in 2001 and I undertaked all rights of company. OE: Your father must have been proud of you…..
BB: It was an honour to take over the flag of the Company from my father. I think he is proud of all the work I have achieved since I decided to work with him, and I am really doing my best to make his name stay at the highest possible level. Our brand has a solid background and its success and recognition have strengthened over the years. Among our clients are Roja Dove haute Parfumerie (6th Floor Harrods) in London, Printemps in Paris, Bergdorf Goodman in New York, Takashimaya & Seibu in Tokyo, Harvey Nichols and Bloomingdales in Dubai. Aeros Cosmetic is our distributor in Turkey. We are sold at Beymen and Harvey Nichols. Our distributor has made a great job for our brand, and I would like to thank them through you. OE: Maybe this will be a difficult question for you but which parfum is your favorite? 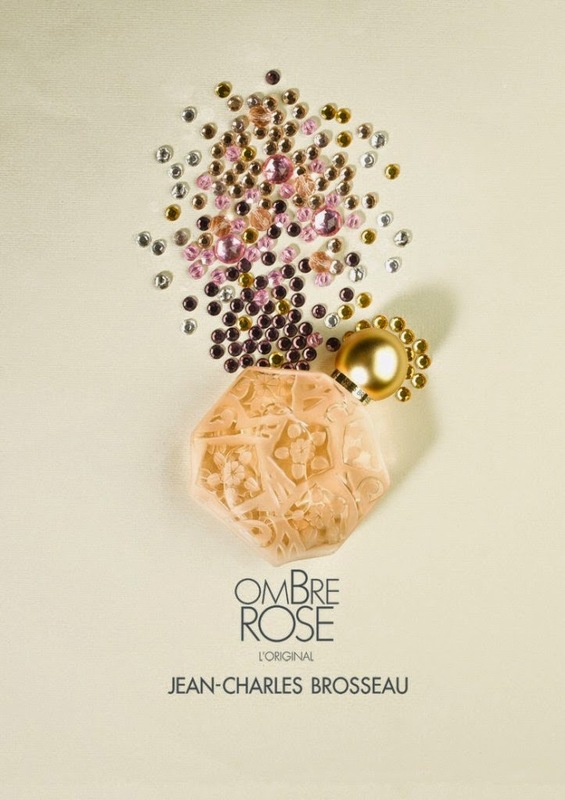 BB: Ombre Rose, because it is the iconic fragrance of our brand, recognized by the industry as one of the greatest classics of the French high perfumery. It is also famous for its Art Deco bottle. My father found this bottle in 1980; it was previously the bottle of a fragrance of the 1920s called “Narcisse Bleu”. This brand was no more existing, but the mould was available, and my father decided to restyle it by making it in clear and frosted glass. It is now totally part of our brand image. OE: Is it your first time in Turkey ? What is your first impression? BB: Yes it is my first time in Turkey but I already knew quite a lot of things about your country’s history. Especially Istanbul, which is a fascinating and quite mystical city. OE: You are not (? ), are you? How is your formation process of smell? BB: I didn’t make specific studies as perfumers are doing. 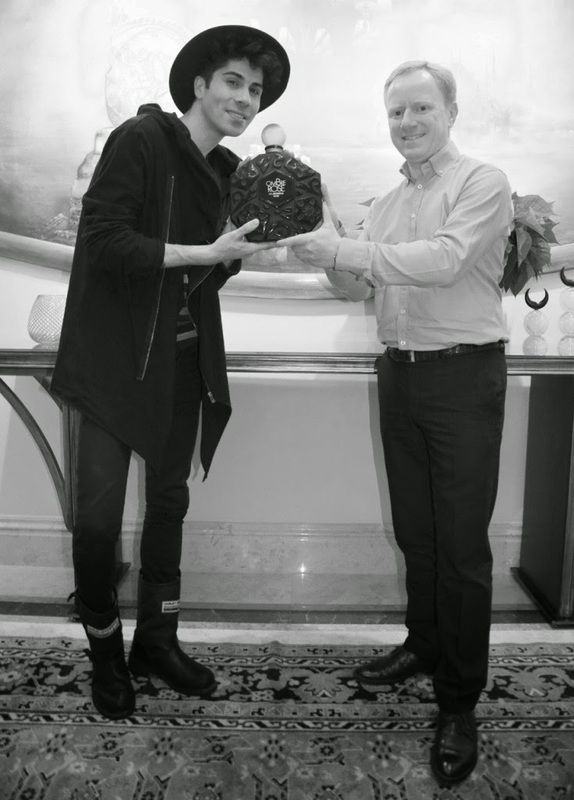 But we are working in close cooperation with a very talented perfumer, Thomas Fontaine. It is very important in the process creation of a fragrance that the perfumer be able to transcribe the emotions that the Creator wants to give through a perfume. 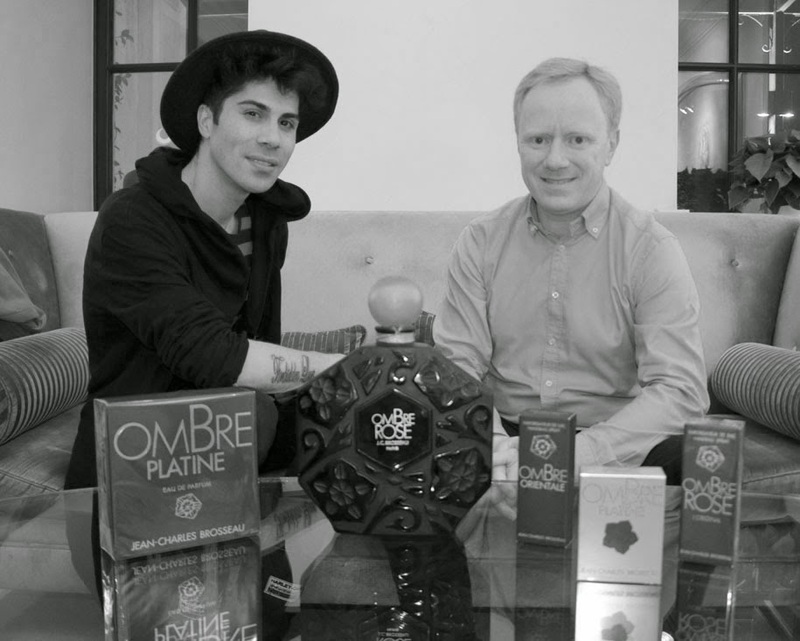 When we make a brief with Thomas Fontaine, we are most of the time coming very quickly to an agreement because not only he is a very gifted perfumer, but he knows everything about our previous creations and how to maintain the spirit of our brand. OE : What are the tricks in choosing perfume? BB: A fragrance is something very personal, it’s a reflection of our personality, the image we want to give of oneself to others. That’s the reason why weare proposing a collection of various fragrances. People can find the scent that will fit the best to their personality. As I was saying, choosing a fragrance is very personal. Retrospective memories are often very important when someone is selecting a perfume. Actually, the carrer of my father didn’t start with fragrances but with hats and fashion accessories. It’s only later that he decided to work on a fragrance, in order to add a last accessory to those he was already making. This was a great idea and a great achievement. Nowadays, the fashion of hats is no more what it used to be, and most of the know-how has disappeared from France. In the 1950s, all men and women were wearing hats, and it is not the case anymore. If you have a look in the Streets of Paris or New York, you will see very few people with a hat on the head. But fragrances are an essential accessory, invisible and so personal. It is our unique activy now. ”Her parfümün bir öyküsü var, bazıları öykülerden esinlenir ama çoğu zaman parfüm kendi kahramanının öyküsünü de yazar. Herkese merhaba, bir parfümün hikayesi ile karşınızdayım bugün. 1955’te Fransa’da bir moda evinde şapka tasarımı ile başlayan ve 1980’de Ombre Rose ile özellikle Amerika’da hayranlık yaratan ve bugüne önemli bir parfüm markası olarak gelen Jean Charles Brosseau‘ nun hikayesini, oğlu ve şirketin başkanı Benoit Brosseau ile çok özel röportaj yaptık. OE: Jean Charles Brosseau markasının geçmişini nereye dayanıyor, hikayesi nedir? OE: Babanızdan bayrağı devralmak nasıl bir duygu? Babamdan bu bayrağı devralmak benim için hem onur hem de mutluluk verici ve onun adını en iyi şekilde korumaya ve yaşatmaya çalışıyorum. OE: Markanızın Türkiye ve dünyadaki başarısı ne durumda? BB: Markamızın sağlam bir altyapısı ve emin adımlarla kazanılmış bir başarısı var.. Harrods, – Printemps & Sephora Champs-Elysées- Paris, Bergdorf Goodman, Henri Bendel in New York; Takashimaya & Seibu in Tokyo; Harvey Nichols and Bloomingdales in Dubai ve Türkiye Distrübütörümüz Aeros Cosmetics ile Türkiye Harvey Nichols ve Beymen‘lerdeyiz. Bir çok ülkedeki distrübütörlerimizin de markamızın başarısına katkısı büyük, onlara da sizler vasıtası ile teşekkür etmek istiyorum. OE: Jean Charles Brosseau markasındaki parfümlerden sizin göz bebeğiniz hangisi? OE: parfüm şişelerinizin özelliği nedir? BB: Parfüm şişelerimizin özelliği Art Deko Bottle ve bulan ve tasarımlarında uygulayan kişi benim babam. OE: Türkiye hakkında izleniminiz ne oldu? BB: Türkiye’ye ilk gelişim. Ülkenizin tarihi hakkında oldukça fazla bilgiye sahibim. Kesinlikle özellikle İstanbul çok büyülü ve mistik bir şehir. OE: Sizce parfüm seçiminde püf noktalar nelerdir? OE: Moda evinden yani şapka tasarımından parfüme neden geçiş yaptınız? BB: Aslında babam Şapka sektöründen, parfüme geçmedi, parfümü ekledi, Parfüm üretmeye karar verdiginde, hala şapka koleksiyonu yapamaya devam ediyordu. Bu cok buyuk bi iltifat ( lutuftu) ve bu durum cok buyuk projeler dogurdu. Cunku sapka icin musteri bulmak herzaman cok daha zordur. Babam 1950lerde sapka uretimi yaparken, tum kadin ve erkekler sapka takiyordu. Bugünler için eskiye nazaran o kadar çok giyilmiyor, bazı davet, balo ve düğünlerin haricinde tabi..